As a full service plumber serving the Philadelphia area, we often get asked what are some Do-It-Yourself bathroom updates that can give it a fresh look. While we’re not a home remodeling company, we do quite a few bathroom updates. Utilizing our experience in the Philadelphia area in combination with suggestions made by home improvement experts; we’ve compiled some simple DIY ideas to help your Philadelphia bathroom have a fresh look. Depending on the water supply (hard chemical deposits), age of the fixtures and how often the sink and shower faucets are used, can get pretty grungy. If you’re looking for a clean, fresh look for your Philadelphia area bathroom, this is a great place to get started. 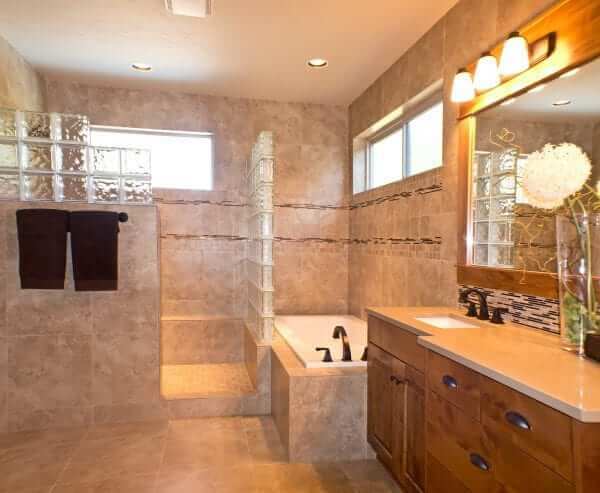 Before you to run to the hardware store and grab the cheapest thing you can find, consider investing in sink and shower fixtures that use better quality materials and have a more modern appeal. 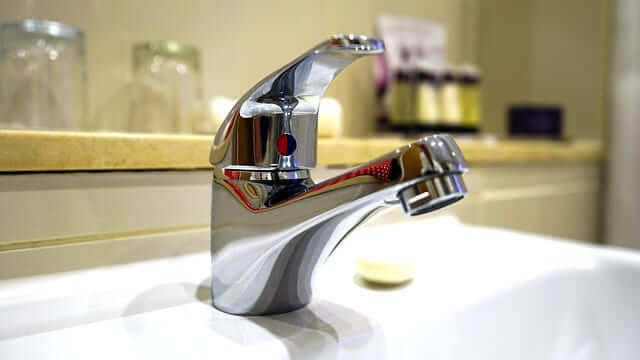 While polished aluminum sink and shower fixtures are more expensive than the plastic ones you find at the box stores; they will last longer and function better. In addition, updating the sink and shower faucets can help save on the utility bill, as most modern fixtures have water saving technology built into them; which provides better pressure with less water. This is an area where you might consider hiring a professional plumber; fixtures not properly installed can cause leaks behind walls creating quite a mess. Light fixtures – now there’s a bright idea! Poor lighting and cheap looking fixtures can really give an unimpressive look to your Philadelphia area bathroom. When people are looking to sell a home they often skimp on the lighting fixtures leaving the new homeowner with inexpensive or cheap look in an otherwise good looking bathroom. You should also consider choosing light fixtures that provides more of an ambient, warm light rather than a direct white light. Using warmer/softer colored bulbs rather than the stark white or florescent can really give your bathroom at transforming look. Electrical upgrades – a must! Another inexpensive and necessary upgrade for your Philadelphia area bathroom is to swap out the electrical outlets with GFCI outlets. These ground fault circuit interrupter outlets provide a modern safety feature to older bathrooms. These types of electrical outlets are designed to trip before the wiring in your bathroom becomes overloaded from small appliances such as hairdryers and curling irons that draw excessive current. With these types of appliances working closely around water, this is a safety feature that should be in all Philadelphia bathrooms. In older homes, this is not only a great idea; it should be considered a necessity. 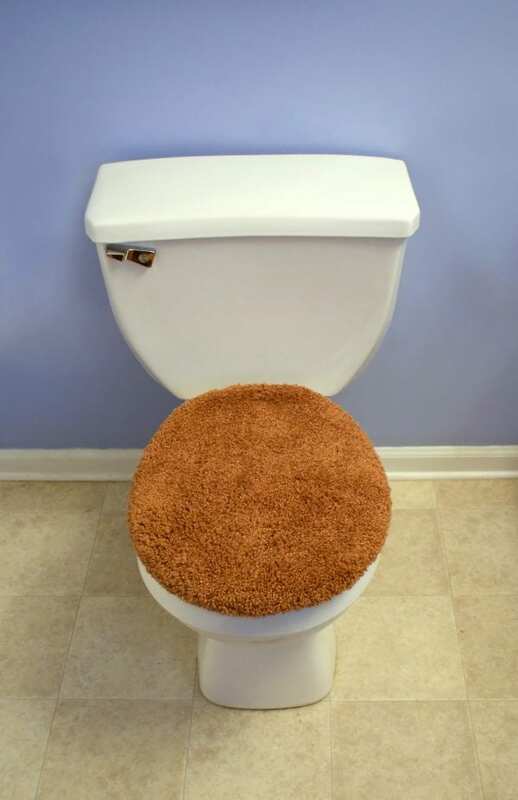 Lose the plush toilet seat covers! Let’s take a moment and detach yourself from the day project at the senior center where you made those tissue box crochet covers; or that your grandmother gave you the plush toilet seat cover for Christmas in 1983. We might also mention the attachment to your ninja turtle toothbrush holder doesn’t exactly fit now that you are 48 years old. What we’re really trying to say is that there are many items within your bathroom that can give it a cluttered, dated look. Consider removing these items or replace them with modern, fresh items that are both functional and aesthetically pleasing. A perfectly simple way to give a modest, clean updated look to your Philadelphia area bathroom is to replace all the hinges, knobs and handles. Over a period of time these engines, knobs and handles can get chip or get painted over making your bathroom look old and cheap. By putting shiny new hinges, knobs and handles it can really add a little sparkle to your bathroom. While many may consider this the last part of an update the shower/ bathtub in your bathroom is one of the main points, setting the tone for the look and feel of Philadelphia area bathroom. If you have an older, dingy shower rod and curtain, or worse yet; frosted glass sliding doors on rails… It frankly adds a drab, dated look to what is otherwise a nice looking bathroom. Home improvement experts recommend a lighter colored shower curtain set up with a polished aluminum rod; for smaller bathrooms, this gives the feeling of a larger bathroom. With the appropriate combination of the color for the shower curtain with protective liner and proper lighting it can really change the overall feel of the bathroom. In the Philadelphia area, trust ifixdit,llc -Plumbing and Drains as your local expert for all of your plumbing needs. For years our reputation has been developed due to our high level of customer service combined with extraordinary plumbing experience. We back that up by making sure that our plumbing service company here in Philadelphia has all the proper licenses and insurances necessary to protect your investment as well as our reputation. When you contact ifixdit,llc -Plumbing and Drains you will get a licensed master plumber on every single repair visit, we do not farm out our repairs to trainees; but rather take steps to make sure that your plumbing needs are taken care of by qualified & certified professionals. What type of plumbing material is best for my Philadelphia home?